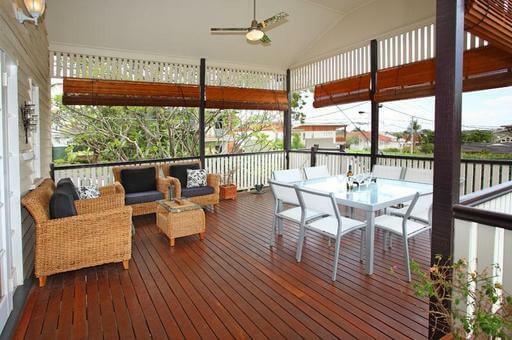 An outdoor living deck in Clayfield, Brisbane. This deck restoration brought the outdoor area back to life and we applied the Sikkens Cetol timber finish for the perfect look. Not only does the deck look amazing, but it’s highly water repellent and weather resistant. Give your deck a spring clean! Call Matthew on 0411220488 for a quote.